India’s major airline firm Jet Airways (India) has approved a proposal to allot a 24 per cent stake to Etihad Airways PJSC of Abu Dhabi for $379 million. “The partnership will bring in significant benefits and opportunities for global growth to both airlines” Etihad Airways President and CEO, James Hogan, said in a release. “The Indian market is fundamental to our business model of organic growth partnerships and equity investments. This deal will allow us to compete more effectively in one of the largest and fastest-growing markets in the world,” added Hogan. This deal is the first foreign investment in an Indian airline. 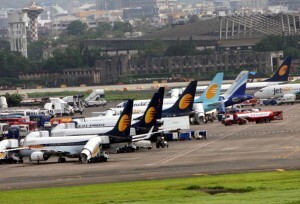 Jet Airways chairman Naresh Goyal will hold 51 per cent of the airline after the deal. “I am extremely happy to be in a partnership with an airline that shares our customer-centric operational philosophy and ethos. I have no doubt that this partnership with Etihad Airways is a win-win situation for all our stakeholders, especially our guests, who will now have access to a much expanded global network,” said Goyal. The agreement will give Etihad a bigger foothold in India’s fast-growing market. The Indian government last September relaxed ownership rules and allowed foreign airlines to buy up to a 49 per cent stake in Indian airlines.